Need a super simple taco night recipe that goes beyond the typical boring beef tacos? 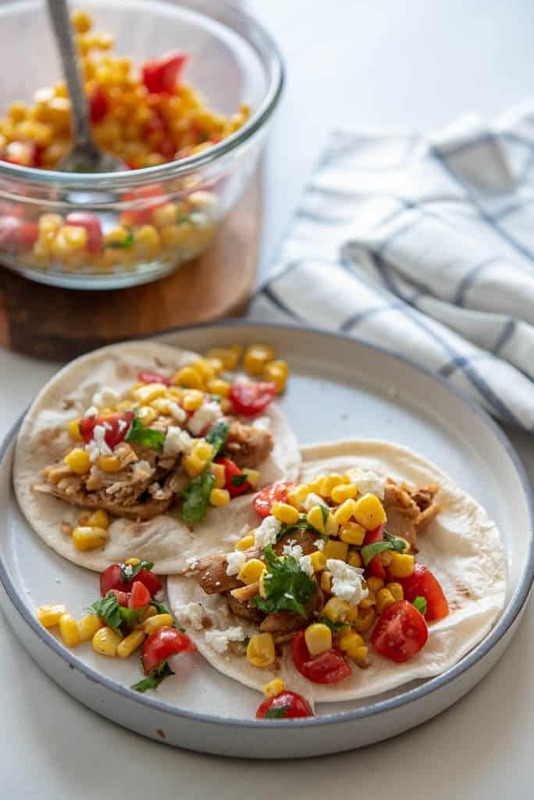 Try these Instant Pot Chicken Tacos with some fresh corn salsa for a real weeknight treat! Yes, I had to be dragged, kicking and screaming, into the Instant Pot craze. I never understood the appeal over using a slow cooker and when I finally bought one my first few recipes were miserable fails. But then, I started to get the hang of it, and finally one day, I was fully on board. An Instant Pot can be a true life saver! Because as much as we all like to plan ahead and think we should have it all together and know exactly what we are having for dinner every night of the week, the reality is life get in the way and just moves too fast. And that leaves us scrambling. 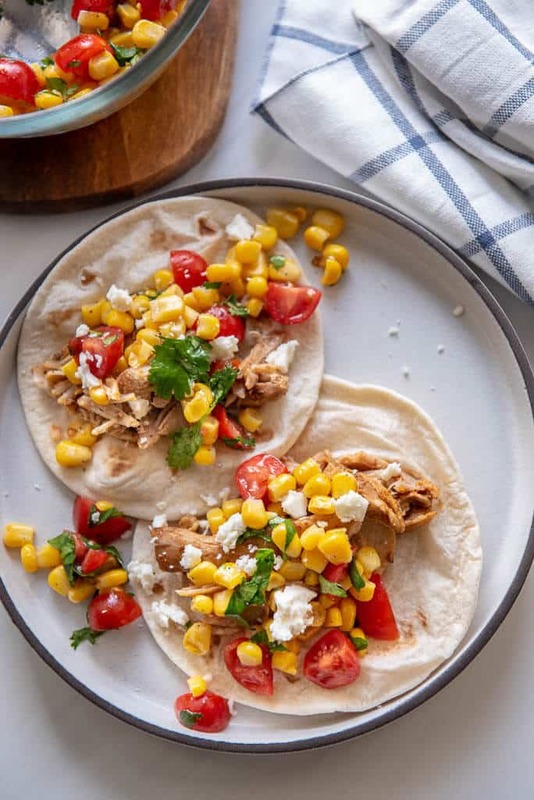 But these Instant Pot Chicken Tacos will truly save the day. 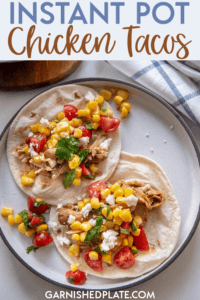 You can throw frozen chicken in, straight from the freezer, along with my homemade (or your favorite store bought) taco seasoning and have dinner without much hassle. And for the days where life is just real… I don’t know how you could ask for anything better than this. 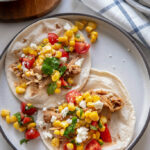 How do you make shredded chicken tacos? It all starts with some boneless skinless chicken. I used thighs because, gosh, they have so much flavor, but you can use breasts too. anything your heart desires – these are your tacos! Yes!! That’s the beauty and how this pressure cooker device finally wins me over. 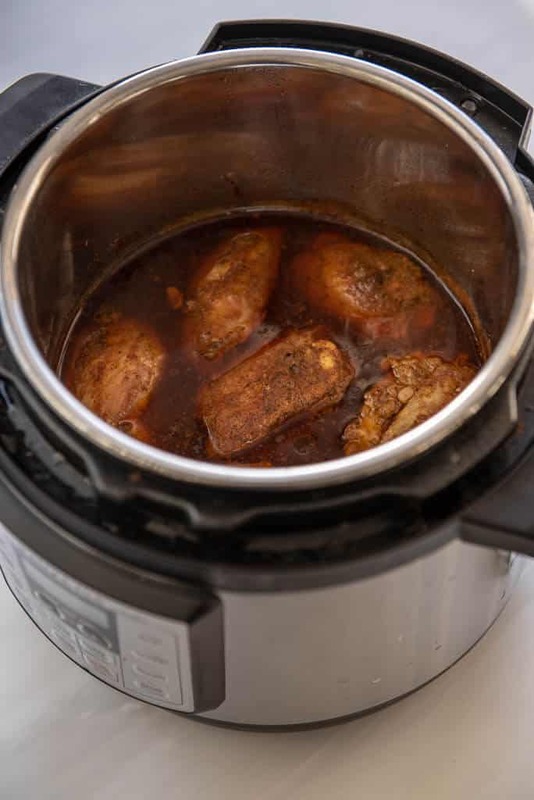 Frozen meat in the slow cooker is a food safety no no (who wants food poisoning?) but the Instant Pot? A total yes! And it only takes a few minutes longer to cook. Now when you get home and realize your meat is still frozen solid, no problem! 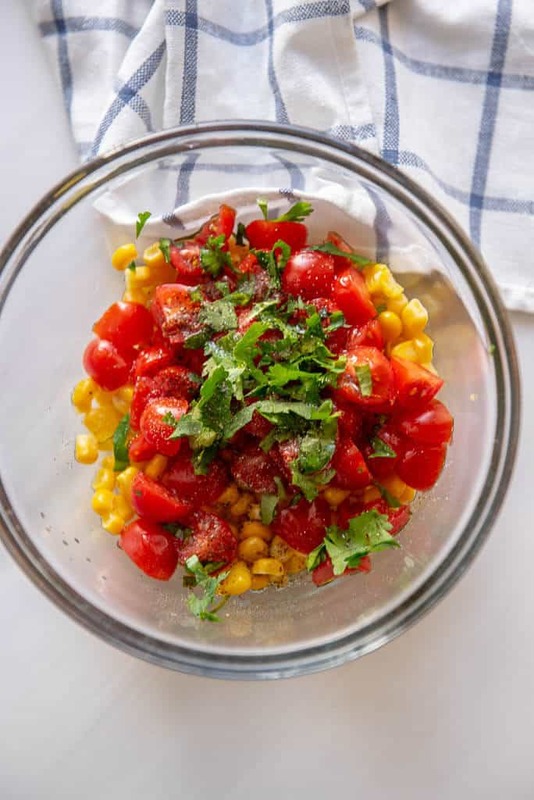 Serve with my corn salsa and mini flour tortillas! Chicken breasts can be used instead at same settings. Nutrition info is for chicken only.